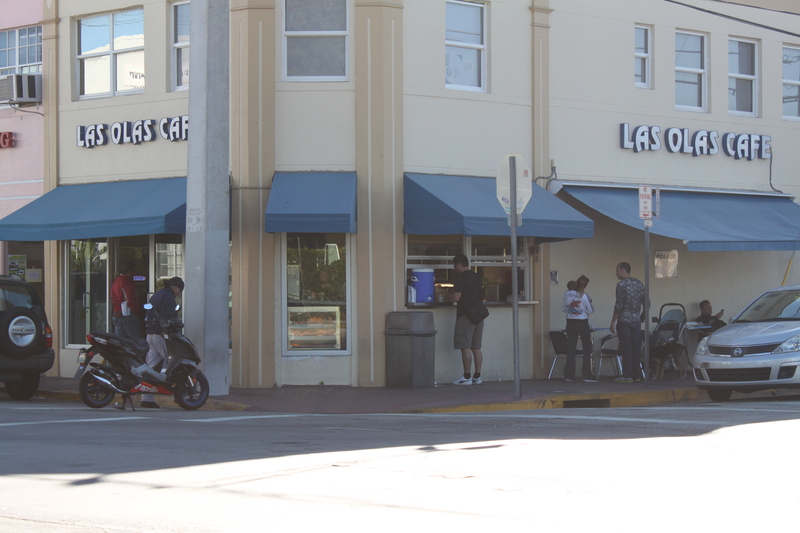 By far my favorite place to eat breakfast is Las Olas Cafe. 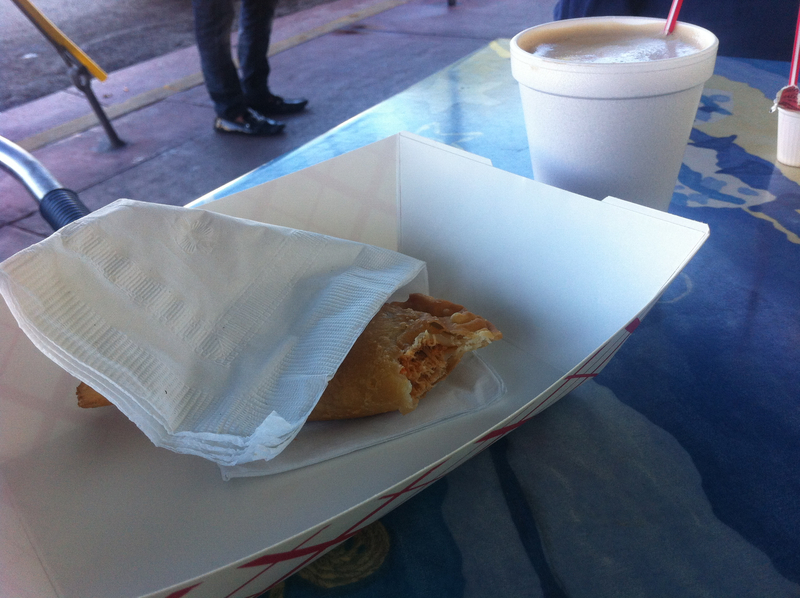 The $11 bill included 2 vegetable tortilla sandwiches, 2 cafe con leches and 2 bottles of water. But the reason to come to Las Olas is not solely for the price. It has the best cafe con leche and empanadas I have had since New Orleans (for the coffee) and Cartagena, Colombia (for the empanada). 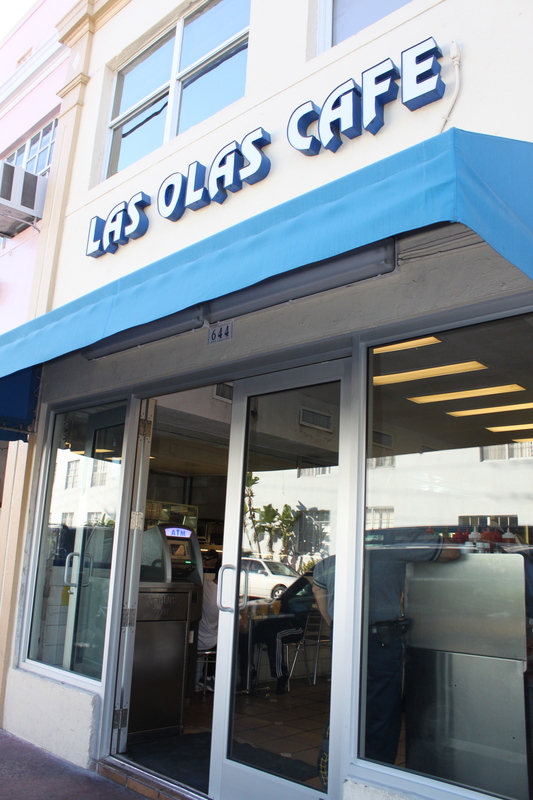 Not only are the prices great and the food authentic and memorable the whole experience of going to Las Olas is fun. There are some tourists but most of the customers are locals. Some stay to eat but most are grab and go before work. The place is packed in the morning; I barely squeezed inside to see if I could see a menu, there isn’t one. The alternative is to walk up to the take-out window and place your order. You can see what others are getting and go from there. You can’t be shy, there is an informal line outside and you need to shout out your order. Most people speak Spanish so if you can order in Spanish even better. It’s a bit chaotic and not the fastest service but worth the wait. 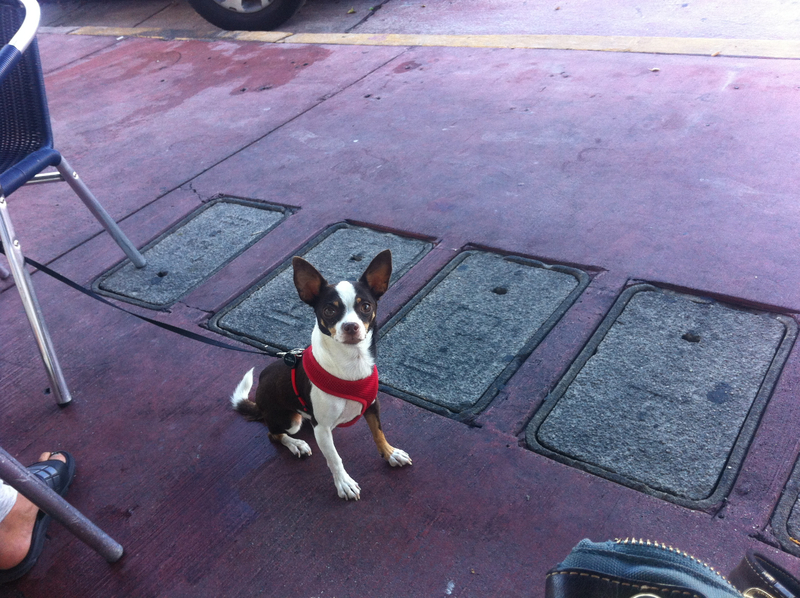 I sat outside at the tables and eavesdropped on the Spanish conversations. Mostly older men swapping tall tales, it was great. Okay, the food. 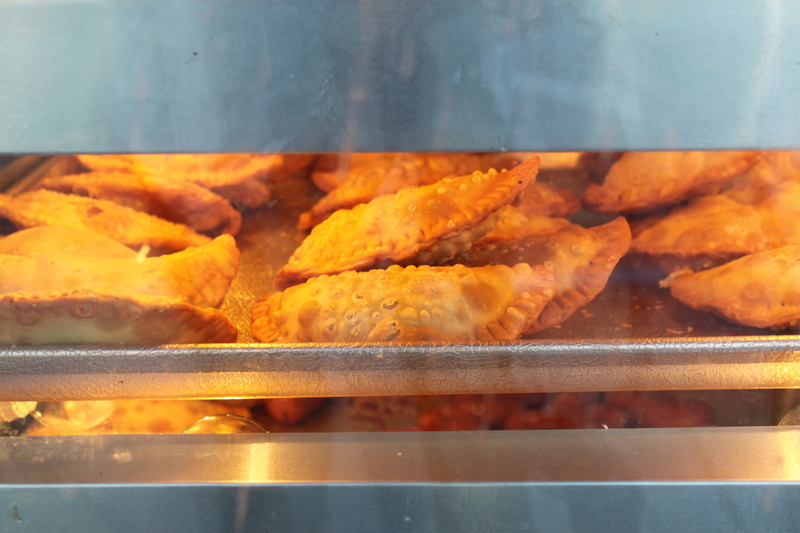 The chicken empanada was spicy, freshly baked, flaky crust and generous portion. I really wanted another one but it really wasn’t necessary as I was full but wanted to taste more. I’m a wimpy coffee drinker so when a coffee tastes like a dessert I love it. I tried the cafe con leche without sugar and I was surprised how much I liked it (I know it’s half milk but I still drink it with sugar). I have to admit I couldn’t stop thinking about the cafe con leche. I wanted it all day long…and any other coffee I had I couldn’t stop myself from comparing. I guess you could say I fell in love. 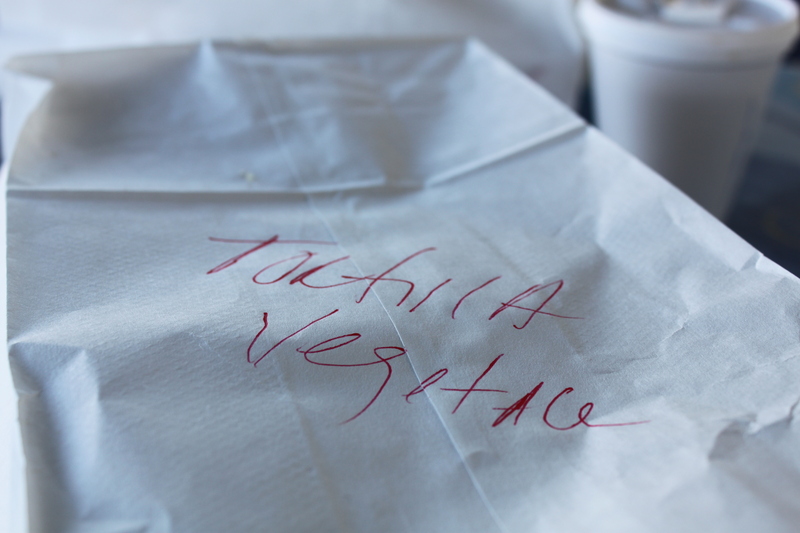 The last item I tried (on visit #2) was the vegetable tortilla sandwich. A huge sandwich they cut in two, it’s big enough for breakfast and lunch. The consistency of the eggs is hard for me to explain but I don’t remember feeling that taste before. They were not runny but were pulled off the pan just before they were done and tasted like a farm fresh egg, no flavor lost. Pepper, tomatoes and a bit of cheese all served on a quality baguette. 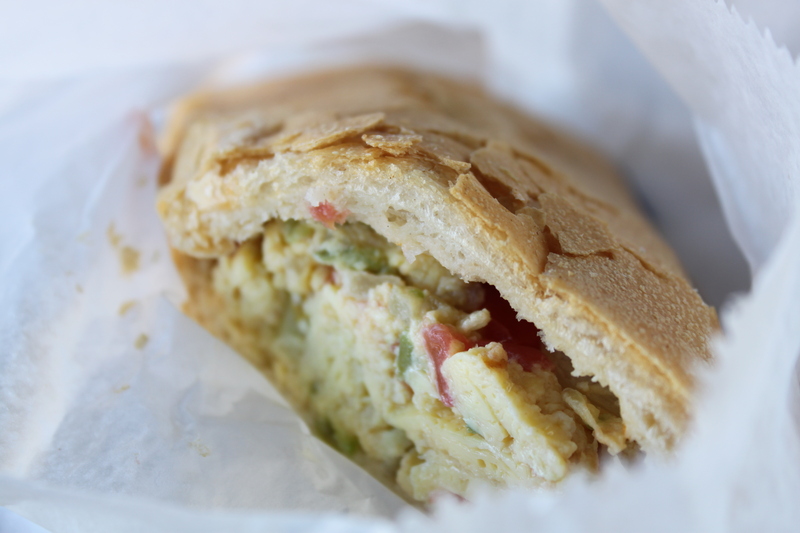 They also serve lunch and I am sure the Cuban sandwiches are fantastic as well as rice and beans. Orange, grapefruit and sugar cane are among the freshly squeezed juices they offer. I look forward to coming back to fall in love again. Made friends with this little guy who really wanted me to share.